Mombasa, Kenya is a part of the Logistics Plus® network. This office provides air and ocean freight forwarding, inland ground and rail, warehousing and distribution, project cargo, import/export, and global trade compliance services. Mombasa is the country’s second-largest city, after the capital Nairobi, with an estimated population of about 1.2 million people in 2016. 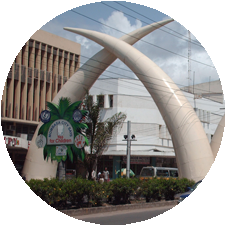 A regional cultural and economic hub, Mombasa has an extra-large port and an international airport, and is an important regional area for tourism. Mombasa is also home to the Logistics Plus where we proudly serve both small and large businesses throughout the region. At Logistics Plus, we are more than just a local logistics company – we are a team of talented and caring professionals that share a passion for excellence, service, and community. Logistics Plus in Mombasa provides a full range services, including freight forwarding, customs brokerage, ground transportation; open yard storage, airfreight, sea freight, air charter, and full/partial vessel charter. We have the largest fleet of 1,300 trucks in East Africa, all fitted with tracking devices for real time positioning. We gave 70,000 cubic meters (2.4 million cubic feet) of bonded and general warehousing space in Mombasa, and 79-acre Inland Container Depot (ICD) adjacent to the Mombasa port – the only ICD with direct road and gate access to the port. We can store 8,000 twenty-foot equivalents (TEUs) at the Mombasa port at any point in time. If you’re located in Mombasa, or any other surrounding community, Logistics Plus is ready to provide you with local, domestic, and global transportation and logistics services. Additionally, we’ll show you how our people put the “plus” in Logistics Plus by doing the big things properly, and the countless little things, that together ensure complete customer satisfaction and success!